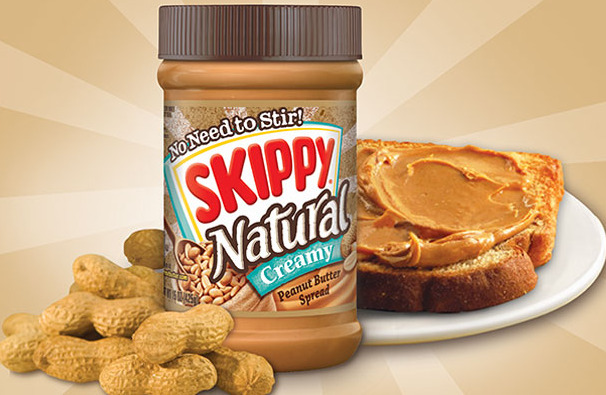 Made with only the finest peanuts, the SKIPPY® Natural Peanut Butter Spread is free of preservatives and artificial flavors and colors, and uses palm oil in its natural state, without sacrificing the taste. 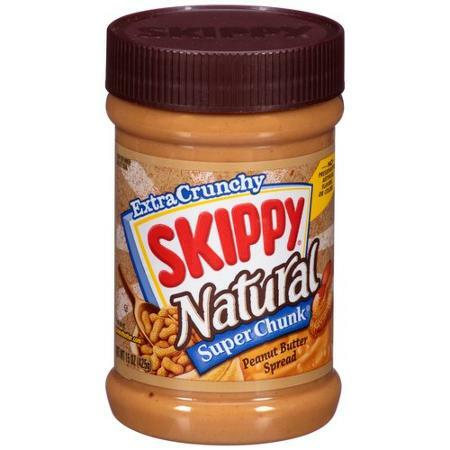 In addition, its no-stir technology prevents oil separation making it easy and smooth to spread over everything and still has the classic peanutty taste of SKIPPY®. Providing seven grams of protein in each serving to fuel your day! The Classic Creamy Spread: Made from only the freshest peanuts, this spread is smooth and creamy yet not too sweet. Perfect for daily spread over toast and as a topping on my overnight oats! I love this classic spread as it is most versatile, it can be mixed with almost everything especially useful for baking and cooking. 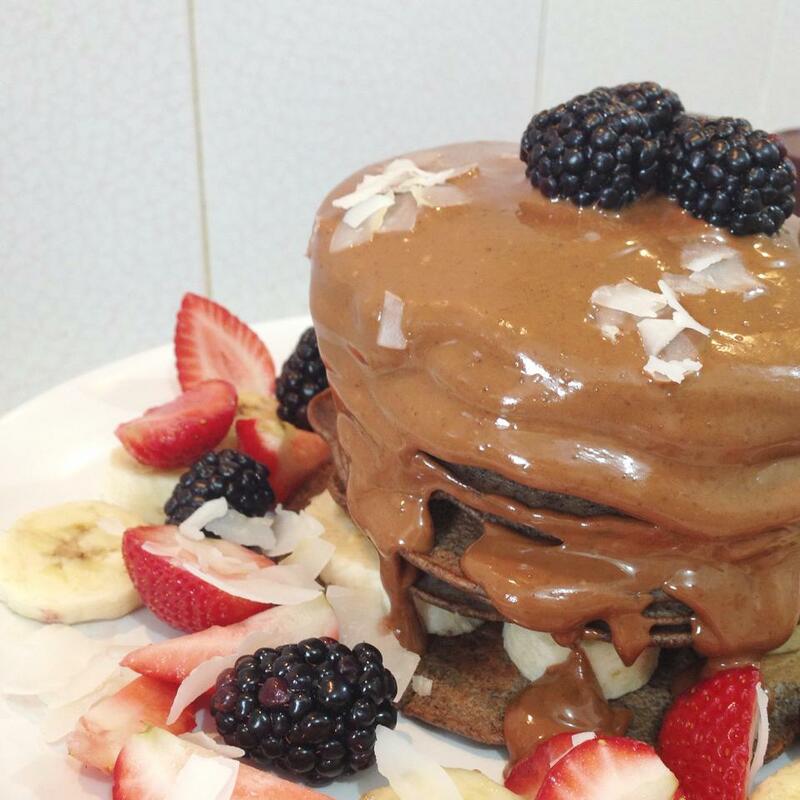 I did pancake sauce (recipe below) with it too! Creamy + Honey Spread: What do you get when sweet meets satisfying? 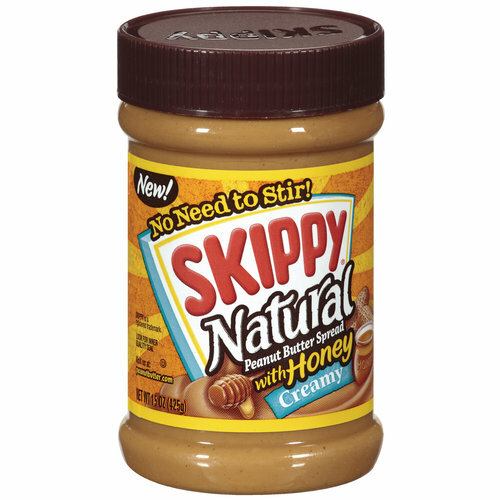 SKIPPY® Natural Creamy Peanut Butter Spread with Honey is a match made in peanut-butter-honey-heaven. Yummy! The texture is nice, creamy and thick with a tinge of sweet honey taste! After all, what’s sweeter than the taste of real honey? The perfect option for kids! Extra Crunchy Super Chunk Spread: My second favourite pick of all! I love peanut butter blended with real peanut pieces in it. Allowing the taste bud on a texture ride, they give a nice crunch in every bite plus the overflowing nutty taste. How could anyone resist it? 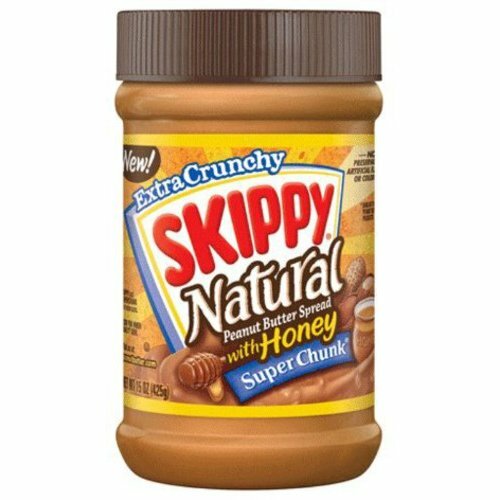 Crunchy + Honey Spread: Savor the sweet crunch of SKIPPY® Natural SUPER CHUNK® Peanut Butter Spread with Honey. It’s a satisfying spoonful with real peanut pieces and real honey added to the mix. Spread the great taste naturally with this crunchy and sweetly delicious peanut butter with real honey! 1/3 Less Sodium and Sugar: This is the best pick for me! I am enjoying the creamy peanut butter goodness with 1/3 lesser of sodium and sugar. This lighter option has a milder taste yet nice and subtle. Retaining it’s creamy texture, my favourite would definitely be this! Chocoholics and peanut butter fans unite for a crazy good combination of peanut butter with dark chocolate that you’ll want to spread on whatever you can eat! 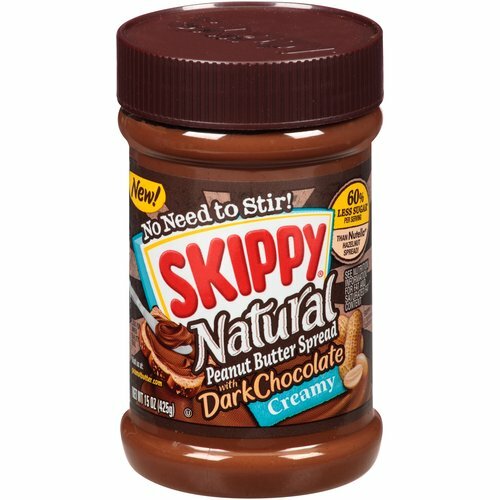 I made Pancake Sauce by using SKIPPY® Natural Peanut Butter Spread with Dark Chocolate and served it with Banana Buckwheat Pancakes! Too good and delicious! It was not too sweet to my liking and tasted like the perfect combination of Dark Chocolate and Peanut blend. Heat and stir them together, serve them with your favourite pancakes recipe! 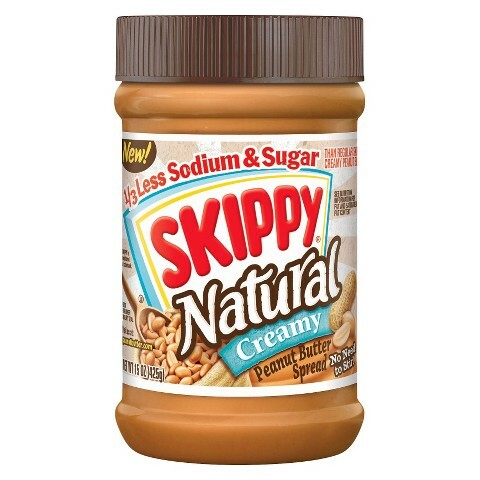 SKIPPY® Natural products have a retail price of approximately $6.00 per 425g jar and available at leading local supermarkets nationwide including Cold Storage, Isetan, Giant, Jasons, Mustafa, Meidi-Ya and Sheng Shiong. 2. Share this blog post on your Facebook and tag three friends! 3. Leave a comment below with your Facebook URL and email address. 2 winners will be picked randomly and giveaway will end on 31 March, Tuesday at 12am. Good luck everyone!